Easter Travel SpecialTravel during April and receive a 5% discount! We LOVE Cash Deposits!NO Credit Card Required! CASH and DEBIT Cards Accepted! Rent, Sell, Lease, Purchase ... Looking to Trade Old Faithful In? We Do That! Travel during April and receive a 5% discount! 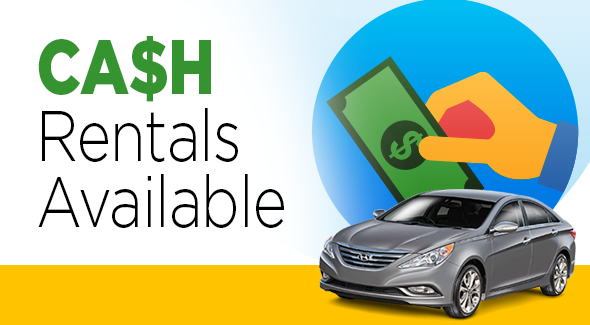 This Easter travel on your terms with an affordable, reliable rental from U-Save. NO Credit Card Required! CASH and DEBIT Cards Accepted! Tired of dealing with the hassle the "big" guys keep creating for you? We know you just want to get on with your busy life and don't want to be treated differently just because you choose to use CASH or DEBIT! Call, click or stop by and we'll get you taken care of! Looking to Trade Old Faithful In? We Do That! All rentals are for sale! Rent BEFORE you BUY! Why settle for a 15-minute test drive when you can get some serious thinking and driving done during our 24-hour test drive? Plus, if you purchase the vehicle, we won't charge you for the day! Check out our Xpress Lease for another amazing and unique option! "Brian did an excellent job helping us get a car!! We are very pleased." Welcome to your locally-owned Colorado Springs car rental service where WE WELCOME CASH AND DEBIT CARD DEPOSITS! Locally owned and operated since 1989! We guarantee friendly customer care along with unbeatable prices on rentals of all sizes. We have a large selection of vehicles that will accommodate your needs for business, vacations, sporting events, and temporary transportation while your vehicle is being fixed, as well as insurance replacement rentals should your car be involved in an accident. We make it easy to book your car rental by just simply entering your dates. This will allow you to view the rates on our entire rental fleet. Once you have chosen the rental that fits your needs, proceed with your online booking or call us during normal business hours. For over 25 years, we have been serving Colorado Springs and surrounding areas. As auto rental experts, we are pleased to be able to pass U-Save Car & Truck Rental savings onto our customers. Since Colorado Springs is one of the preeminent military towns in the United States, we’ve got a soft spot for military members of all branches! Be sure to mention if you’re active duty military for your exclusive discount! We not only take all major credit cards but also accept debit cards and cash deposits and payments. Please contact us for cash/debit deposit requirements. We are pleased to be able to serve our local community and you can expect great customer service and a quality rental! Please give us a call or send us an email to find out more. We look forward to serving all of your car rental needs!